"Who the heck is Joe Mather?" I actually really like Matt Garza. Not only am I jealous of his facial hair, and a fan of the worst throw in the history of throwing, but he’s a really good pitcher. He’s not having a great year so far this year, but his first season in Chicago last year saw him put up his best season ERA and raise his K/9 from 6.6 to 9.0. The conventional wisdom was that Garza’s performance would suffer going to the hitter-friendly Wrigley Field, Grantland.com’s Jonah Keri said on our show that he was high on Garza, particularly as a result of leaving behind the hot-hitting AL East. Smart man. Let’s take a moment and give thanks to Javier Lopez. He saved the day yesterday, and got two outs on two pitches tonight. If Casilla does need to take some time off with his injury, it’ll hurt, but man are these pitchers good. 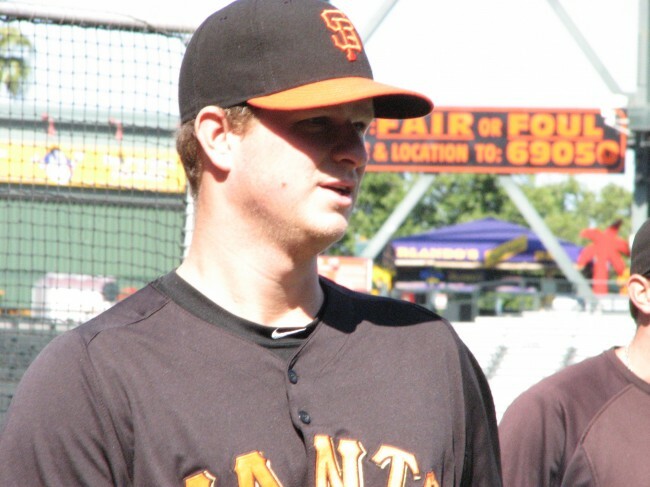 Speaking of pretty good pitchers, Matt Cain is now 75-75 in his career. Good thing he wasn’t a winning pitcher during his contract negotiations, because then he could’ve been pretty costly. Here is a non-exhaustive list of pitchers who have more career wins than losses, and an ERA over 4.50 (min. 100 decisions). There are a lot of them. Life ain’t fair. Cain’d. Post-DL Aubrey Huff confuses me. He’s actually getting on base at a decent clip, especially compared to his batting average, but I can’t tell if that’s because he’s actually gotten more patient, or he’s just afraid to swing. His bases-loaded walk sure looked like the former, but his strikeout swinging later in the game made me lean toward the latter. Crawford: Bloop single, interesting defense. Belt: Lefty power glove off the bench.